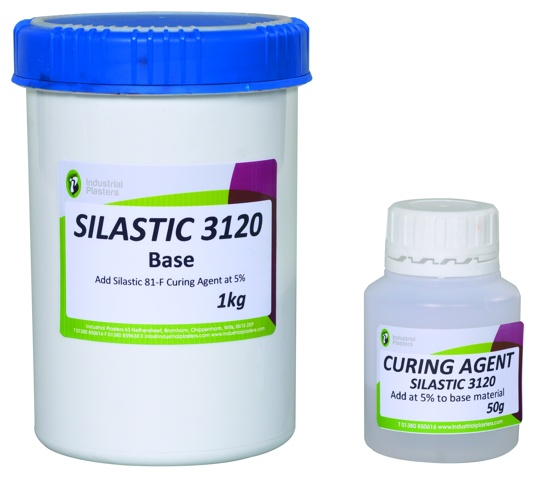 Silastic 3120 c/w 81-F Cure - Industrial Plasters Ltd.
Silastic 3120 is Condensation Cure RTV pourable Silicone. Specially formulated for use with low heat metals and other heat setting materials, where the model is of simple section with no undercuts. Silastic 3120 is stable up to 250°C. Silastic 3120 is supplied with Silastic 81-F Curing Agent. • Recommended for simple patterns with no undercuts. • Can be used where vacuum de-airing isn’t always required. • Can be used in electronic potting and encapsulating applications. • Provides a wide service temperature range.